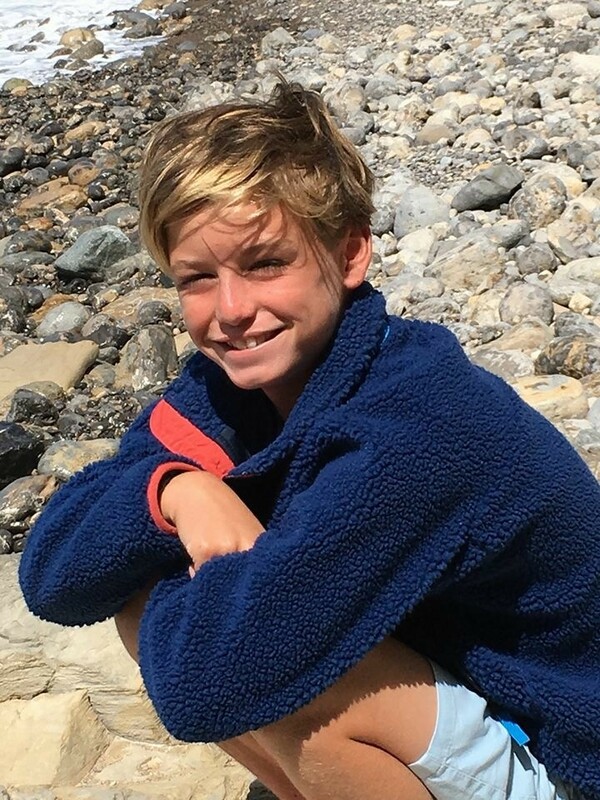 Repost in celebration of Oakley’s life and the 3rd Annual Oakley Gage Debbs’ Memorial Soccer Jamboree on December 2, 2018. Have you found out first hand how quickly a speck of food can spiral into a moment that you will never forget? This is Oakley Debbs. Although I never met Oakley, I consider him and his family to be the most amazing people that walk the earth. 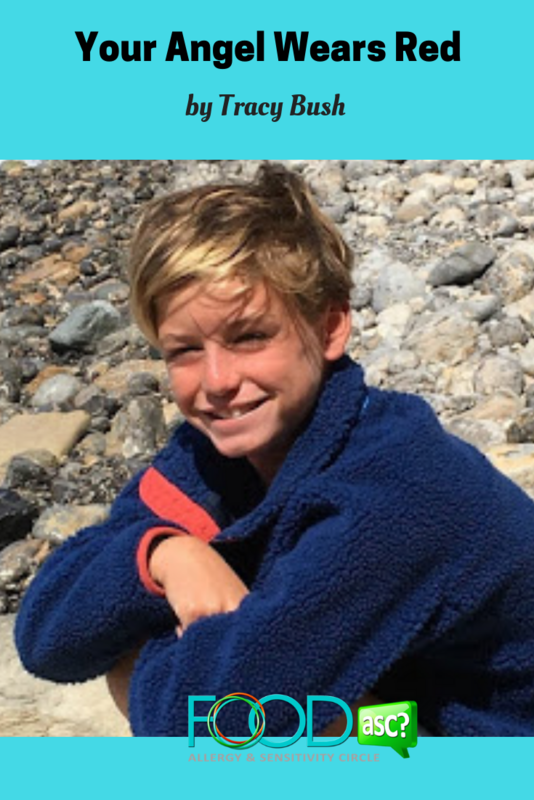 Oakley’s life was stopped short due to an anaphylactic reaction. He was not my son and his family is not related to me but I consider them to be a part of my family. 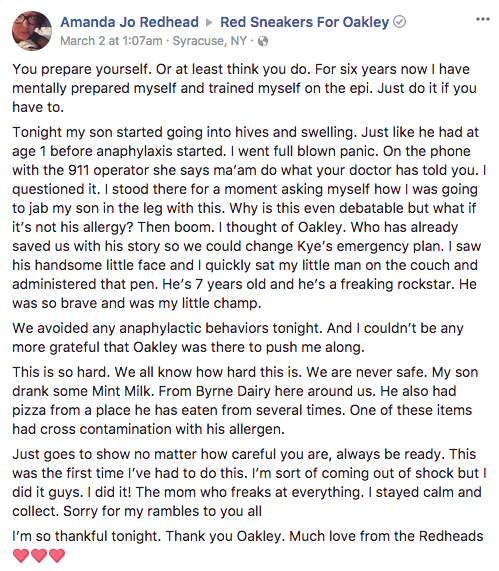 You see, as a food allergy mother to a son who is allergic to peanuts, eggs, shellfish and watermelon I can almost feel the terror and helplessness of losing a child. I say almost because, although it touches my heart so closely, I can never truly know how this feels. 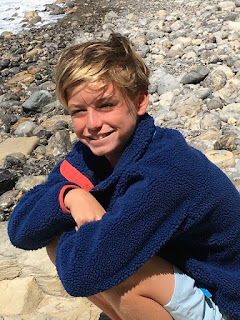 The Debbs family has lost a son and I have not. I would not be able to lift myself up if this happened to my son. The fact that this family is allowing their strength to be the strength for others is a super power. Their dedication to educate others, provide comfort for others and to share with others keeps Oakley alive within all of our hearts and minds. Many of us are asked If you died tomorrow, would you have accomplished something amazing during your life? But how many people can actually answer that what is even more important is what you accomplish AFTER your life? “This child of mine, he was a rock star, he was a good, good kid. And always in my heart of hearts, I knew that he would make a difference in his life, I just didn’t know it would be after he passed away. So that’s a big part of my driving force- the legacy of Oakley.” – Merrill Debbs, Oakley’s mom and co-founder of Red Sneakers For Oakley. 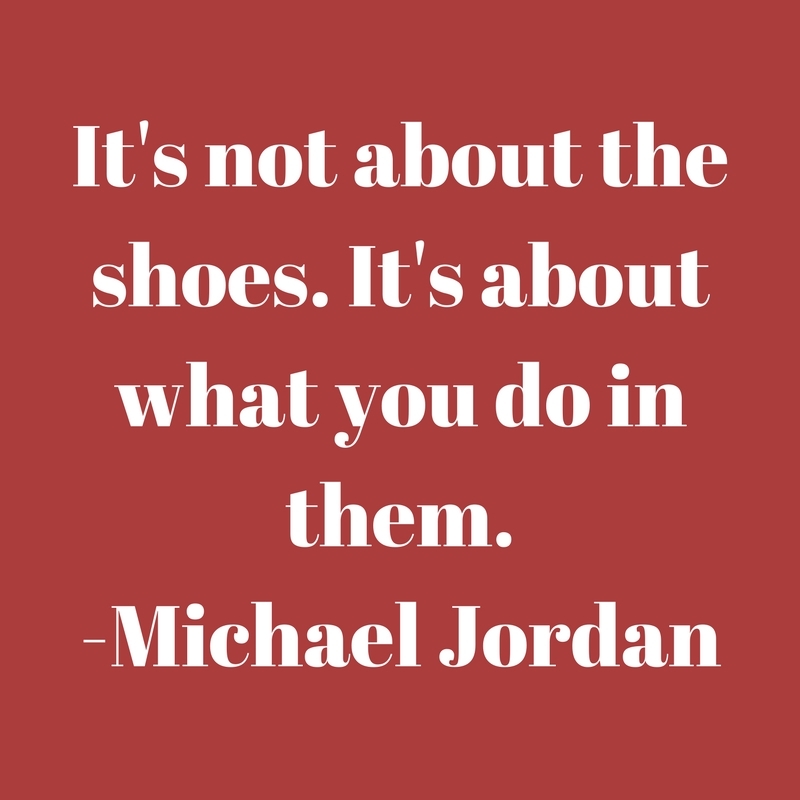 Oakley’s family uses the memory of Oakley’s habit of wearing red shoes as a symbol of support and awareness. They saw a need for our food allergy community and rose to our side so that our families would be safer. 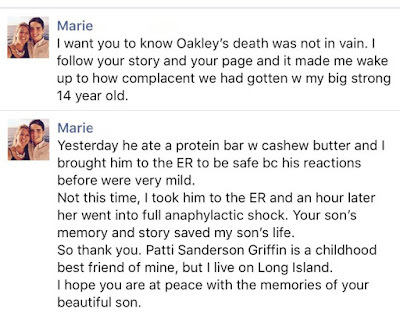 How many unnecessary deaths have been caused by an anaphylactic reaction that most likely could have been prevented if food allergies were explained a bit more? 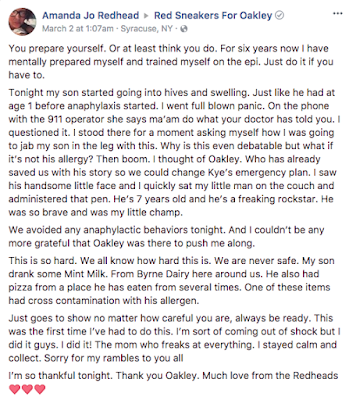 How many times have you heard a person commenting, “I was never told this would happen so quickly” or “I didn’t know the label said it contained an allergen”? Unless the people you are interacting with every day have the correct knowledge about how to prevent a reaction, they will not understand how to save more lives. There is no assuming. There is no time to assume. There is only education, support and preparedness. Food allergies are so often pushed into the background because it is an invisible disease- until it’s not. 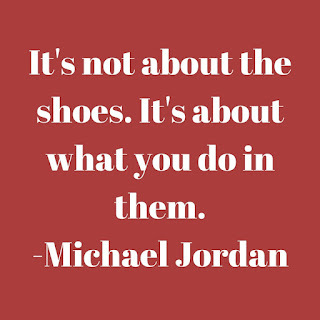 The power of the color of a pair of shoes makes us all more visible and when we are visible, people open their eyes. It’s a small step but it’s a beginning and we need to continue. “Red is the Color of Extremes”. I think this accurately depicts life with food allergies as well as the growing strength within our community. We choose power, we choose energy and we choose to be extreme because we know that is what will help save more lives. Oakley’s spirit truly drives us. 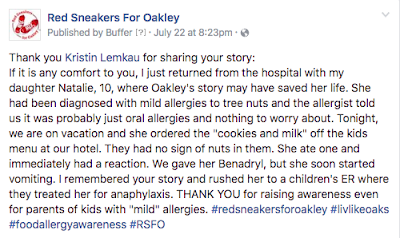 And because food allergies have different extremes themselves, I wanted to share some of the touching testimonials on RedSneakers.org in hopes that anyone reading this will understand that they are not alone. Our community needs more support because not all of us are as strong as the Debbs family. Sometimes, we need to laugh, cry, scream, run or just say nothing because it’s what we need to do to be able to cope. Regardless of what you need, I wanted to share this resource with all of you so that you can reach out to them if you need them. You know I am always here to help in any way that I can but sometimes, I am not enough for someone and I am ok with that. I don’t have all of the answers, most of us don’t. The important thing to remember is to ask for help. You can reach out to Red Sneakers For Oakley on their website, Facebook, Twitter, Pinterest and Instagram. Not a “social” person? You can also contact them by email, mail and telephone. 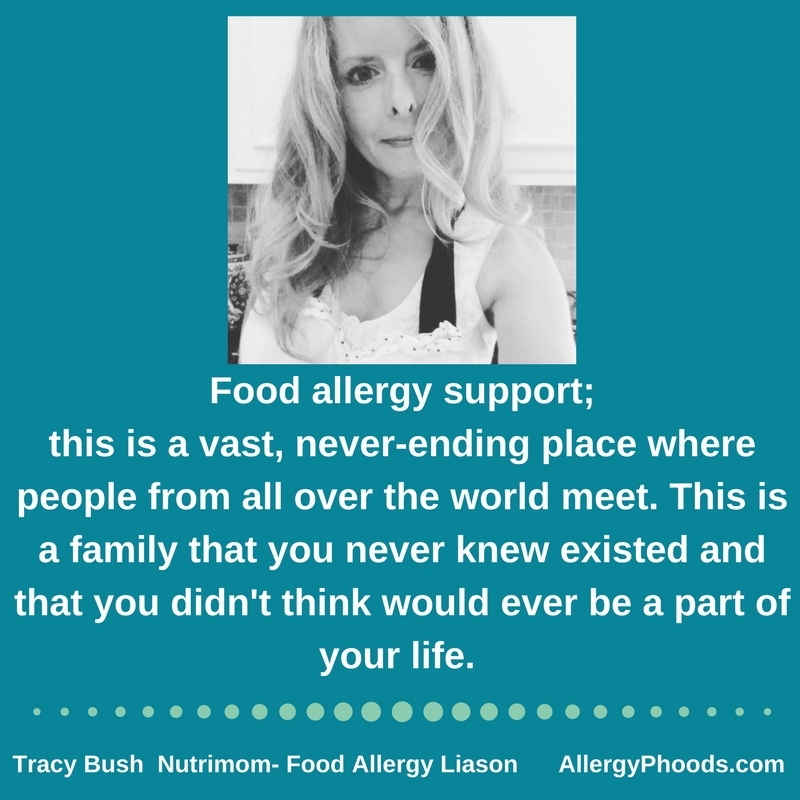 Want to help spread food allergy education and awareness? Get information on their School Program Initiative or attend an event. 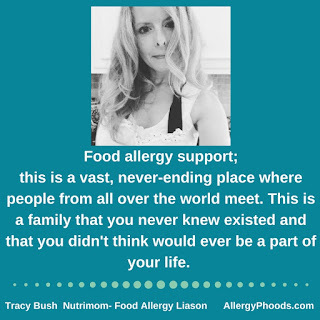 Food Allergy Consultant, Author, Blogger, Mother & Self-professed “Kitchen Geek” my website and media pages are a mixture of product reviews, recipes and advice mixed with a tinge of humor. I write, I cook and I laugh and I aim to make everyone else do the same. I provided all this informational a reminder to my 17 year old’s friends who want to give him a surprise birthday breakfast at his father’s house next year for his birthday as they did last year. I discussed that Oakley had peanut allergies, & asthma like my son & the issue of cross contamination as well as a picture of Oakley to make it as real for them as possible! There weren’t any issues last year, but there’s new players in the game & I don’t want to let this prime educational opportunity go by without making it clear once again! Now where can I get some red chucks in size 10.5?? Great idea to share with your son’s friends Cece! It’s important to educate your son as well as those around him. I’m glad his party went well last year and will hopefully go well this year too. Red chucks, hmmm. Amazon?